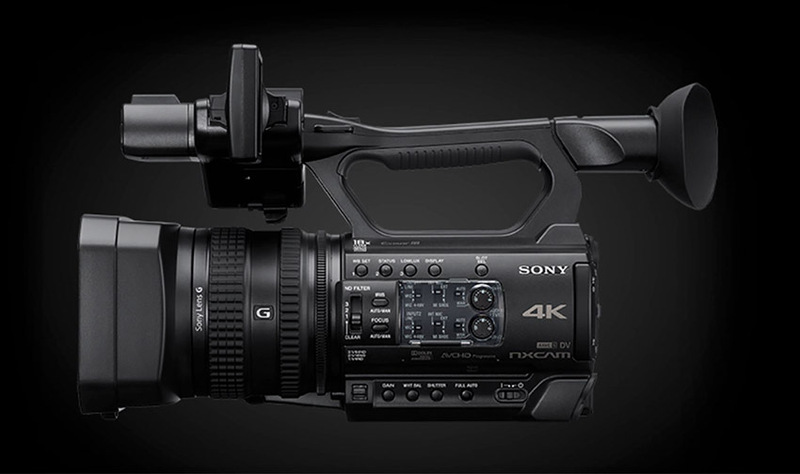 At IBC 2018, Sony just introduced a brand new 4K camcorder with 18x zoom. The all-new HXR-NX200 boasts a 14.2 MP 1.0 Exmor R CMOS sensor capable of recording 100Mbps 4k in XAVC S at 25p alongside 1080p at 50p onto SD cards. The stabilized lens is 29mm to 348mm equivalent 12x optical servo zoom with f2.8 aperture. The lens has three rings to control focus, aperture and zoom, all of which can also be controlled automatically. Sony’s Clear Image zoom, on the other hand, extends the zoom range to 18x in 4k and 24x in 1080p. The camcorder also features dual media slots, offering extended recording time and workflow flexibility through relay and simultaneous back-up recording. Other noteworthy features include a 1.56M dots LCD and viewfinder, built-in ND filters (2-6 stops), microphone and two phantom-powered XLR-ports. Furthermore, the HXR-NX200 NXCAM camcorder enables content creators to stream live events in HD effortlessly through a simple and affordable production ecosystem when paired with the MCX-500 multi-camera live producer and the RM-30BP remote commander. The HXR-NX200 is powered by Sony’s NP-F style batteries and will hit the market in October 2018.